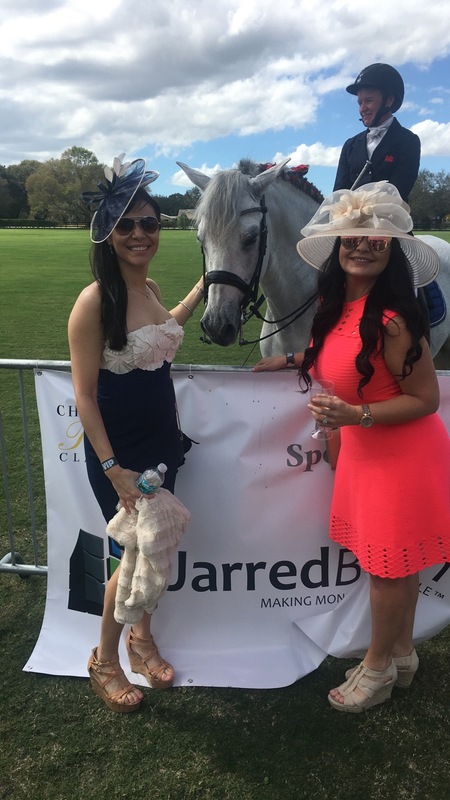 Florida's weather is notoriously unpredictable, but one thing is certain; on a gorgeous Saturday in February, the 2017 Morgan Auto Group Charity Polo Classic drew one of the largest and well-heeled crowds I've ever seen! 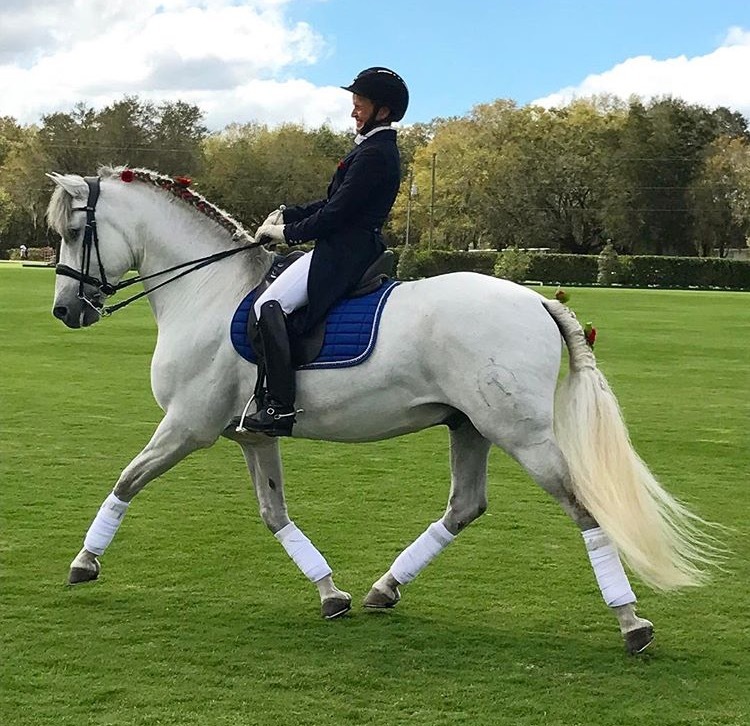 In the heart of Plant City at DI Polo, aka Sleepy Oaks Farm, this spectacular event featured Tampa Bay's most famous faces and names like philanthropist's Dr. Kiran Patel and Julie Weintraub, athletes Vincent Jackson and Ryan Nece amidst a backdrop that could rival any polo match in the world. 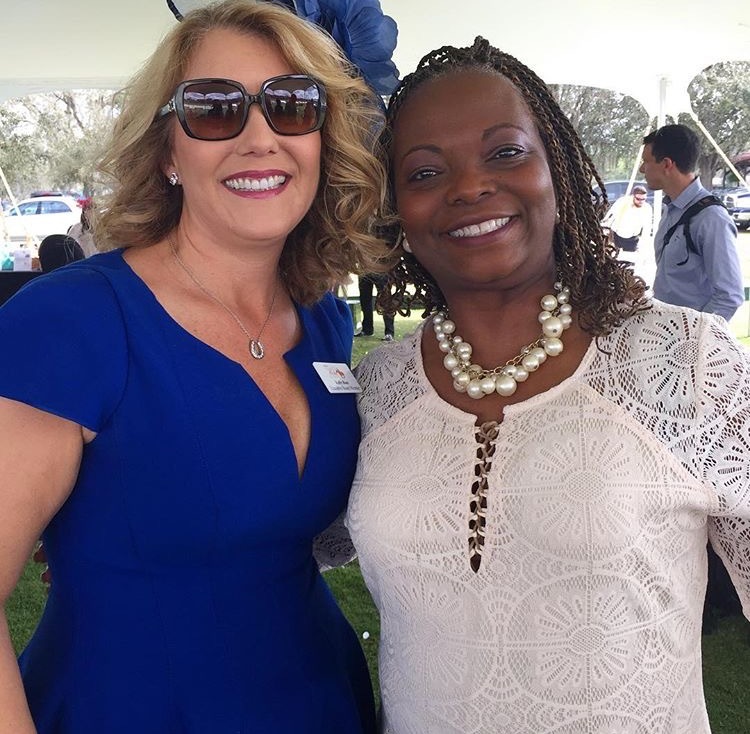 Tampa Bay Lightning's own retired U.S. Airforce Technical Sergeant and songstress Sonya Bryson-Kirksey kicked off the day's events with her now famous rendition of the National Anthem.She is pictured here below with Kelly Ross, a founder, and organizer of the Charity Polo Classic. The bubbly flowed and area favorite restaurants like Besito Mexican, Cask Social Kitchen and Seminole Hard Rock's Council Oak featured spreads that kept the crowd going all afternoon. 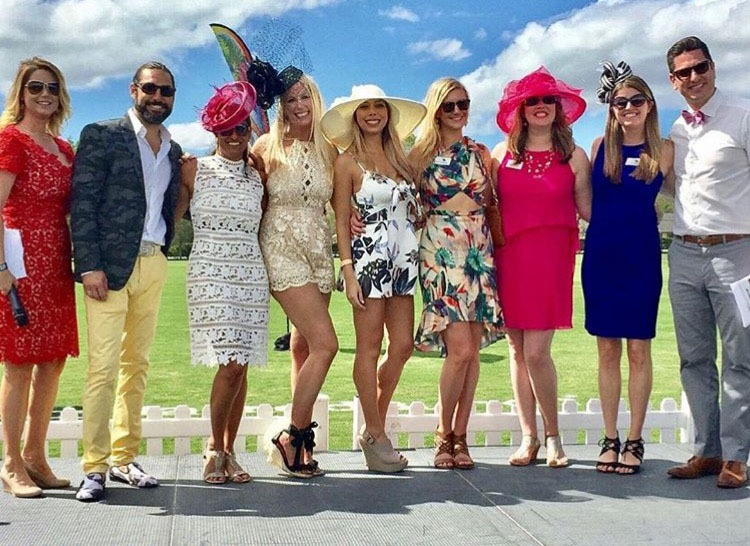 DJ Fresh pumped up the delighted crowd and Tampa's own Arturo Fuente Cigars presented a cigar lounge.Charity Polo Classic board member Andrew Barrios said this year's event raised nearly $300,000 for four different charities, which is about $55,000 over last year. I had an absolute blast and must say it takes a very special event to draw that many people from Tampa to Plant City, including me, as I'm usually very grumpy if I have to drive over 20 minutes anywhere! This event was so worth the drive. The Charity Polo Classic was founded in early December 2011 by Advertising Executive and Professional Polo Player, Chris Gannon and Children’s Cancer Center Board Member, Patrick Moraites And Morgan Auto Group CFO, Kelly Ross. After reaching out to their business contacts and friends, the 1st Annual Charity Polo Classic Planning Committee was created. The first year they raised $30,000. Helping children and families cope. The mission of the Children’s Cancer Center, a local non-profit organization dedicated to serving Tampa Bay families of children with cancer or chronic blood disorders such as Sickle Cell Anemia. With 22 programs and services currently helping 950 families, support is offered to all members of the family and is available throughout every step of their difficult journey - from diagnosis and treatment to survivorship... and sadly, too often, bereavement. The vision of the Ryan Nece Foundation is to emPOWER teens to become leaders and impact giving in their communities. The foundation's mission is to create opportunities for teens to embrace the Power of Giving through volunteerism and inspirational leadership programs. Clothes To Kids envisions a community in which every school-age child has quality clothing so that he or she may attend school with the confidence and self-esteem needed to achieve academic success. The co-founders incorporated and starting collecting clothing in 2002. Their idea was to create a cheerful store environment where families and children would be treated with dignity and respect and receive school clothing free of charge. On June 11, 2003, the first CTK store opened in Dunedin, providing 1,200 square feet of shopping space. They outgrew the space quickly and moved to the current Clearwater location in 2005. In December 2009 a second (and equally beautiful) CTK store opened in St. Petersburg. This made clothing more accessible to families in South County. Clothes To Kids has distributed more than 100,000 wardrobes to school children in Pinellas County! Morgan Auto Group Helping Hand Fund’s mission is to help current, future and retired associates of any Morgan Auto Group (and affiliated companies) and their spouses and children when they find themselves in a sudden financial emergency. They also support other local charities that complement their mission. Morgan Auto Group understands the unforeseen challenges their associates may experience and wants to support them with dignity and respect.